If you’re responsible, you need car insurance. If you’re a responsible adult with an automobile, you need car insurance, and the beginning of the year’s a good time to review the facts about this necessity of modern life. The first thing to review is the types of car insurance and mexican insurance reviews. Liability insurance is required by law in most states and it covers other people affected if you are at fault in a crash. That coverage includes property damage and injury. Some states are no-fault states, which require you to carry insurance to cover your personal injuries, regardless of who caused a crash. But your insurance needs don’t stop with liability insurance. You’ll very likely want collision coverage to handle any wrecks, and comprehensive coverage that can help make you whole should something other than a wreck damage your automobile. You’ll also, of course, want to think about rates. Numerous factors can determine the rates you pay. 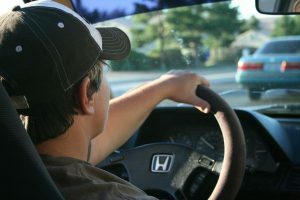 Those include things like where you live, the kind of automobile you drive, your driving record and your credit record. Rates can also vary depending upon the insurer.